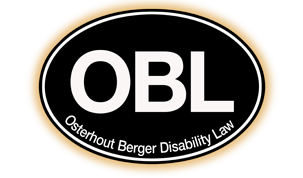 Mark joined Osterhout Berger Disability Law in 2014. He works in the Federal Courts division as an appellate attorney. Since joining the firm he has written briefs in Social Security Disability appeals before Federal District Courts in each Circuit. Mark chose to practice at Osterhout Berger Disability Law because every day he gets to fight to secure the rights of the poorest and most vulnerable in society, while developing professionally in the challenging environment of Federal appeals. Prior to his work at Osterhout Berger Disability Law, Mark worked as a solo practitioner for his own general practice with a special focus on Oil and Gas law, Employment law, and providing counsel to small businesses and startups. Mark also spent four years as an attorney at Eckert, Seamans, Cherin, & Mellott LLC where he specialized in pre-trial litigation in complex class actions for Fortune 500 companies. He is a member of the Pennsylvania Bar and the Allegheny County Bar Associations. Mark holds a Juris Doctor from Ave Maria School of Law where he was awarded a full tuition academic scholarship, named a Thomas More Scholar and was chosen a Student Bar Association representative by his peers. After his first year in law school he was awarded a fellowship to study constitutional law. He holds a Bachelors of Arts, having majored in History and Political Science, from Grove City College where he earned the Charles David Price Memorial Scholarship, was named to the Dean’s List and graduated with honors. Mark also has studied at University College Dublin, Ireland after receiving his Leaving Certificate from De La Salle College, Dublin, Ireland. In his free time, Mark enjoys playing soccer, running, and swimming. He is a member of several local Irish-American and historical organizations. He has volunteered in the community with Habitat for Humanity and providing legal services to veterans, first responders, and those unable to afford counsel. He is actively involved with the Catholic Diocese of Pittsburgh in a variety of capacities. A native of New York, he now resides in Pittsburgh, Pennsylvania and is learning to love the Black and Gold.